Illuminate your home or commercial property with Inception lighting by Second Nature! Our permanent and easy to control system stands out among similar products because it is simple to operate. Our product is virtually maintenance free and will create a beautiful lighting scene for your home or office that is completely controllable and customizable. Each system allows up to 520 feet of light extension from the controller. This distance can also be extended by concealing power cords behind the LED cables to extend the run further than 130-foot from one single power source and control location. Instead of a solid line of lighting, the LED lights are spaced perfectly to resemble traditional holiday lighting. Compared to incandescent lighting and all other sources of light. LED gives off much less heat. Inception lighting is less expensive and easier to install in comparison to traditional lighting systems. Inception lighting can be cut to fit the contours of a building due to it’s plastic housing. This makes it a perfect solution for custom buildings and housing. Traditional lighting usually required metal conduit that was unable to do this. Our Inception LED lighting is virtually maintenance free. If an LED light happens to go out, our custom lid allows for simple replacement without the need to replace the entire run of lights. Inception lighting by Second Nature will make your home the envy of your neighborhood. Our lighting system blends Seamlessly with your home and is virtually undetectable in the daytime. Inception Lighting by Second Nature is the perfect permanent Holiday lighting system – it reduces energy, virtually maintenance free, matches the trim of your home during the day, and it’s many programmable colors sequences can light your home for any occasion. Our Inception lighting by Second Nature can be programmed with your home security system to add additional security to your home. 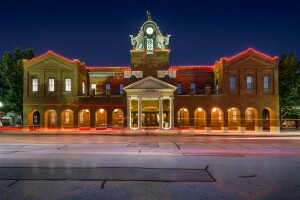 Illuminate your commercial property with Inception lighting by Second Nature! Communicate your promotions and branding with our bold lighting systems. Electrify and entice your prospective customers with our creative lighting that will get you noticed! Our energy efficient LED lighting will reduce your cost and make your lighting nearly maintenance free. Our maintenance free lighting will save your company money each month by reducing your high electric bills. In addition, illuminating your store front or office will greatly increase your visibility to your customers and drive more business to you. Our cost effective LED lighting also has the ability to change colors. Inception lighting can be used to run promotions, imagine being able to change the colors outside to red and green during Christmas time. You can set them to flash different colors while you’re running promotional events. Here are some ways that inception lighting can increase sales volumes and benefit your business. Run promotions and attract new clients by illuminating your brand and commercial real estate space. Drive in new customers to your location simply by catching their attention to your beautifully lit storefront or office. Save money by reducing your energy cost with LED inception lighting. Our lighting is designed to last far longer than traditional incandescent lighting and uses only a small fraction of the energy. 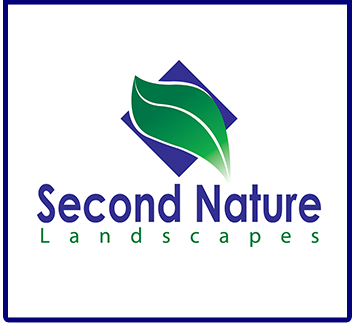 Inception lighting by Second Nature is virtually maintenance free. You can eliminate the need to climb up on the roof to replace bulbs every year. Our lighting is designed to last. Drive new business and attention to your location while drastically reducing your annual energy consumption in regards to lighting. Save time and money on maintenance as well while increasing the sales of your business and make your storefront or office more aesthetically pleasing. Control and customize the outside of your property with beautiful displays of color. Inception lighting is a permanent solution that you can remotely control and customize to suit your business needs. Our accent lighting is covered in a decorative molding virtually unnoticeable during the daytime hours. The lighting has a visual appeal in the evening hours and is completely controlled remotely. You can increase the beauty and security of your location from anywhere and at any time. Inception lighting is a perfect solution for retail storefronts, office locations and buildings, along with city streets and municipalities. 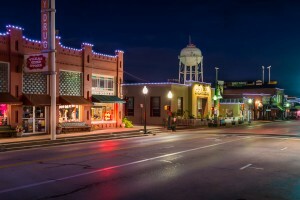 We can make your town shine with our customizable, energy efficient and beautiful LED lighting. Increase safety for your residents, employees and citizens by illuminating your outdoor space with our LED lighting. You can program holidays, events and sales a year in advance. Light your building green for St. Patrick’s Day! You can control multiple systems and lit locations from one device. You can program all of your retail locations, city streets or offices from one single point of access. Inception lighting is 90 percent more energy efficient than traditional lighting and will greatly decrease the carbon footprint of your business or town. Decrease maintenance of your current lighting by upgrading to our LED solution. Our product is designed to last much longer than traditional lighting. You will also increase your energy efficiency at the same time resulting in amazing financial return over the life of the product. We can also integrate the inception lighting product into security systems. Our product can be programmed to communicate an emergency to the surrounding public along with first responders. This feature will greatly increase safety during times of emergency. Imagine issuing a tornado or fire warning to your downtown area with the use of flashing lights. We will perform a permanent single installation that you can use to illuminate any event or holiday. You can be anywhere at anytime and easily access the lights of your business or municipal area. This remote access can be controlled from any table, smartphone, or web browser. Our cloud-based solution will give you the control over the lighting right from your mobile device. If you are interested in speaking with us in regards to illuminating your business or town, we would love to hear from you. Please access our contact form located here on the website and we will be happy to reach out to you directly. Our permanent lighting solutions are a great way to promote your business and city while making it beautiful at the same time.